KCHR conducted the seminar on 'Kadalarivukalum Neranubhavangalum'. on 22nd October 2018, as part of the KCHR seminar series 2018 at KCHR Annexe, Kesavadasapuram. Sri. 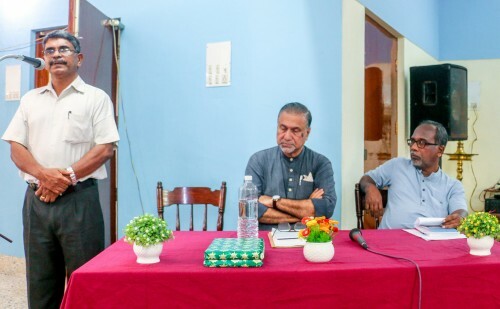 Robert Panipilla (International Collective in Support of Fish Workers) presented the paper on the subject based on his book 'Kadalarivukalum Neranubhavangalum' . Sri. A.J Vijayan ( PROTHSAHAN) discussed the topic in the seminar. KCHR Chairperson Professor P.K Michael Tharakan, presided over the function.